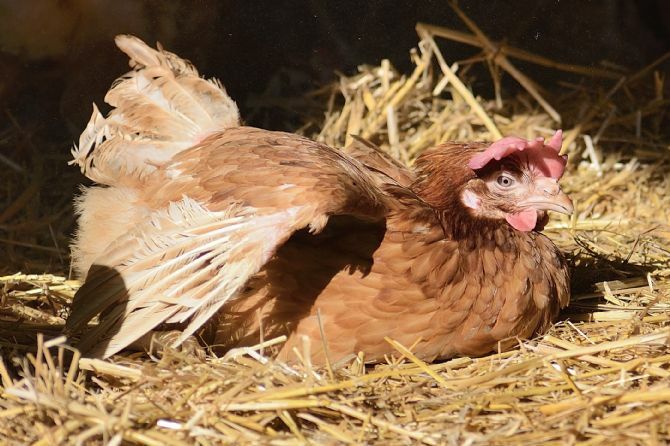 The British Hen Welfare Trust promotes the belief that all laying hens deserve to enjoy natural freedoms whilst they lay tasty eggs for us to eat; that means freedom to roam on green pasture, freedom to enjoy sunshine, freedom to scratch for insects and freedom to lay an egg in a nest. 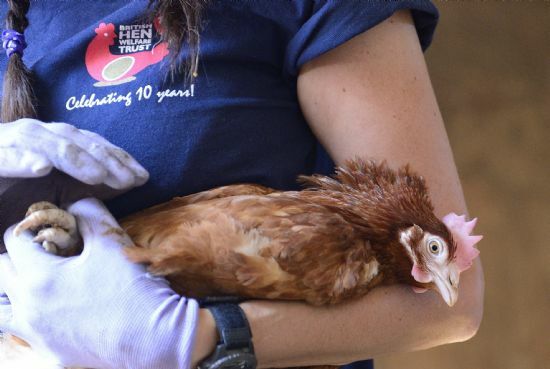 Save over 50,000 hens from slaughter every year and find them caring pet homes through a network of 40 regional pop-up centres so they can enjoy a free range retirement. Find out how their 800+ wonderful volunteers do it by reading ‘A Day in the Life of a Co-ordinator’. Educate consumers about the caged eggs hidden in processed foods, like pasta, quiche, cakes and mayonnaise so they can make an informed choice when shopping. Positive campaign style described as pioneering. One of their most successful campaigns was in persuading Hellmann’s to produce a free range mayonnaise; as a result thousands of hens now enjoy freedom. They take hens at the end of their commercial laying life from farmers around the UK all of whom support our work. 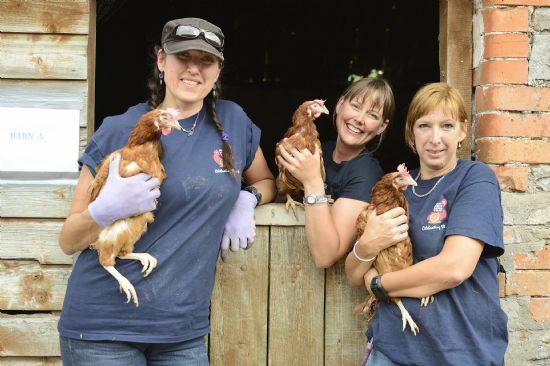 Actively promote our Great British Free Range Farmers – there’s a lot of happy hens free ranging the UK countryside because of their investment in free range systems. To reserve your hens first Register online, then call the BHWT at Hen Central on 01884 860084 to complete your registration and make your reservation. 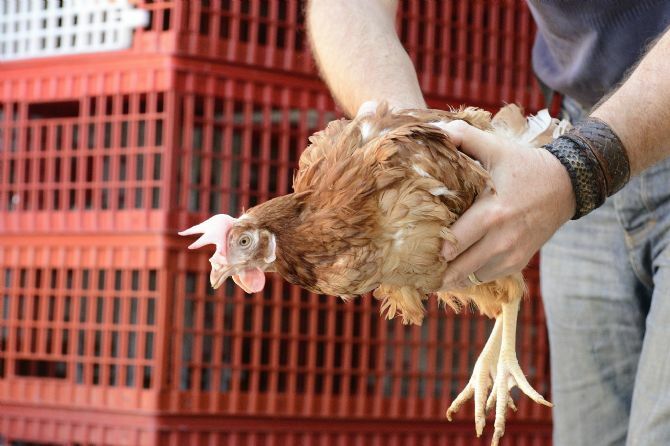 Please ensure you have read the information on Hen Health and FAQs before making contact. All bookings must be made before the collection date and so hens won’t be available on the day for those who have not reserved them with us. Call rather than email to ensure your booking especially if the collection date is coming up soon. Please do not come to the re-homing sites if you have not reserved hens.